I wrote this sales analysis for my good friends at Urban Turf, who published a version a few days ago on their site. 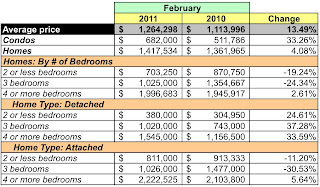 In this post I look at contracts closed in February in zip code 20007 using data released by MRIS. The zip code is roughly bordered by the Potomac River on the south and west, Rock Creek Park / Observatory Circle on the east, and Garfield Street NW on the north. Burleith, Foxhall, Georgetown, and Massachusetts Avenue Heights neighborhoods are in this zip code. Georgetown University students, the Social Safeway, an Apple store, and assorted socialites can be found here. 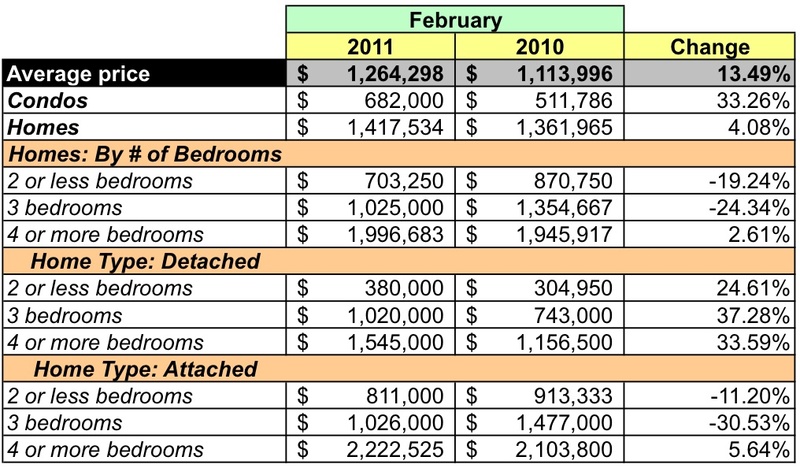 Compared to the same month in 2010, aggregate dollar volume was up 13.49% even though the same number of units sold last February. The average sales price increased 13.49% and the median sales price was 16.97% higher. 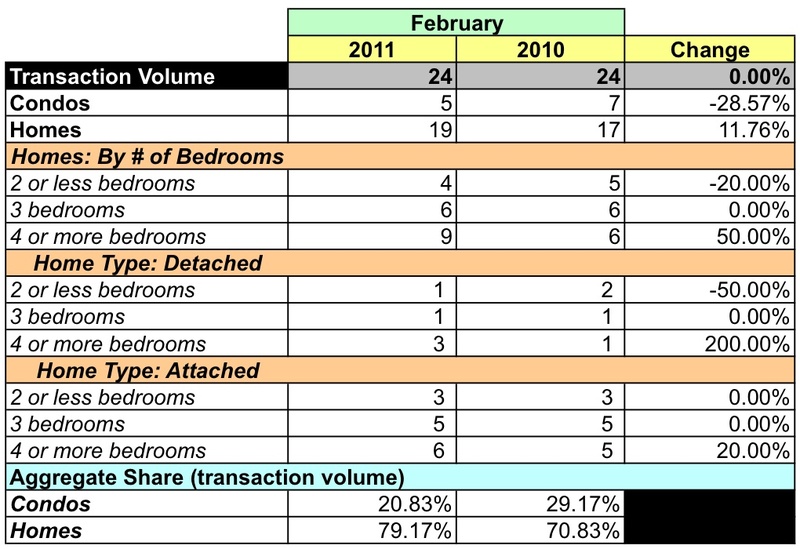 Five condos and 19 homes sold in February, about the same proportion as last February. The average price for a home was 4.08% higher, that for condos rose 33.26%. Dollar volume for homes grew 16.32% and fell 4.82% for condos. Twelve of the 19 homes sold for more than $1MM. Amazingly, one condo sold for less than $200K. In February, zip code 20007 represented 17.67% of the District's dollar volume and 6.5% of unit sales. The zip code's average and median prices were much higher than the District as a whole, 171.73% and 168.06% higher, respectively. In the aggregate, at February's sales rate there's a 5.99 months supply for houses listed in 20007; there were 143 active listings at the time of MRIS' February report. If you're looking to buy in 20007, the opportunities are more affordable for condo buyers. Of the 56 condos listed, 33 were priced lower than $400K. Homes start at $600K; almost half, 43 of 87, were listed for $1-2.49MM. But don't despair - it's a seller's market even in that bracket with a 4.77 month's supply of homes available. Overall sales activity in 20007 (closed contracts, homes under contract, and homes under contingent contracts) was higher than last February and the highest it's been since February 2008. Interestingly, the number of homes with contingent contracts more than doubled this February and is the highest since 2007. Unlike the other zip codes I've analyzed, it looks like there's room for negotiation on price: the average sales price was about 92.4% of the list price. What can you say about a zip code where the average home price is almost $1.5 million? If you're dead set on buying in 20007 and you can't swing a 7-figure mortgage, then your best options are condos with a smattering of homes between $600-999K.